Grandmaster Viswanathan Anand has played six World Chess Championship matches since 2007 and he will be up against Magnus Carlsen in Sochi, who had defeated the Indian legend in Chennai last year. With favourable results under his belt this year, five-time World Champion Viswanathan Anand is approaching the forthcoming World Chess Championship at Sochi with a quiet confidence and a positive frame of mind but termed his opponent Magnus Carlsen as "tenacious". "He (Carlsen) has achieved a lot and is tenacious in his play . He will definitely come to Sochi motivated," Anand was quoted as saying in an interview released by NIIT. 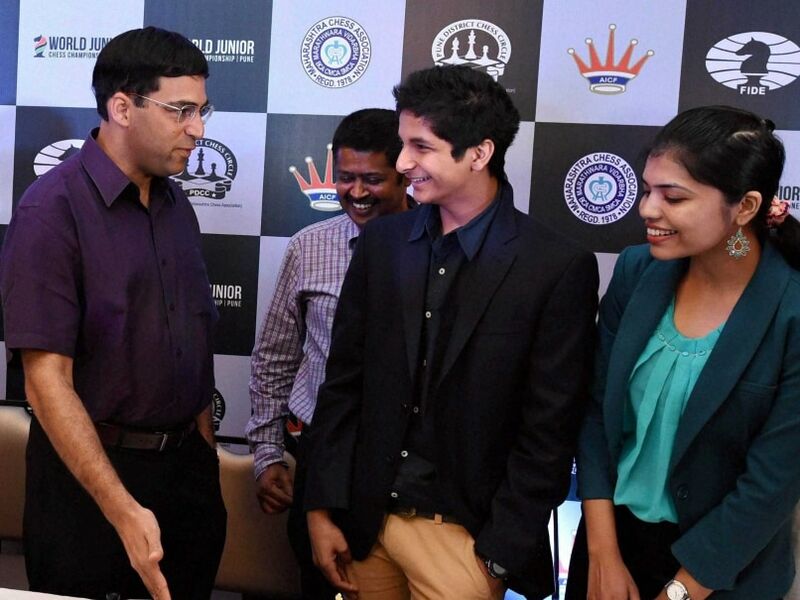 After losing the title to the 23-year-old Carlsen of Norway last year at Chennai, Anand played powerfully at the Candidates tournament this year in March to brush past seven other contenders including Levon Aronian, Vladimir Kramnik and Veselin Topalov included). The 44-year-old Anand is confident ahead of the 12-game match starting Saturday. "I am in general, happy with my chess performance this year. Actually in 2013, I had some good results but those were marred by a few bad losses. In 2014, I was more consistent in Khanty Mansiysk and Bilbao and played the chess I enjoy playing. So I would say I approach Sochi with positive feelings," he said. Vishy as he is fondly called, has played six World Chess Championship matches since 2007 but the Grandmaster is unperturbed. "Really six in seven years, I didn't realise it. Like I said, I really compete with myself. There have been times when you think you have had enough and always, after a few moments you realise - NO you always want more! "Chess for me is something that I am fascinated with. I still realise that there are so many openings to learn from, to explore more. New variations to uncover, the ones that can blow the lid off, making months of work redundant. Still, when I start work on chess, I feel like a six-year-old with a chessboard, waiting at Tal club to play Blitz," he said. Anand is also happy with Sochi as the venue. "Sochi is a great venue and Aruna (his wife) was very impressed when she inspected it a few months back. They have held the F1 and hosted the winter Olympics. So I think it will be excellent. "Russian chess audiences are always appreciative and some warm weather should be good."